Engines roared and calm blue water churned white as boats cruised under the bright Okinawa sun. Marines in groups of three piloted small green boats across the quiet industrial port, practicing elaborate patters of turns, spins, lateral movements and sudden stops. Combat engineers with Improved Ribbon Bridge Platoon, Bridge Company, 9th Engineer Support Battalion, 3rd Marine Logistics Group practiced piloting bridge erection boats Jan. 29, 2019 at Naha Military Port. The Marines, designated as BEB operators, were tested on a series of maneuvers at the port in order to attain BEB licenses. BEBS are used to move and connect Improved Ribbon Bridge bays, which is a tactical bridging system that can span an across wet gaps, which are bodies of water, greater than 100 meters or can function as a raft to ferry vehicles and equipment across larger bodies of water. The boat operators can use the BEBs to push individual IRB bays across bodies of water to get initial supplies and equipment to the opposite shore, then line up and connect the bays to create a sturdy bridge for units to transport across with the rest of their vehicles and equipment. The boat operator licensing process begins with classroom instruction periods and written test, then the combat engineers move to Naha Military Port to complete the practical application portion of their testing. 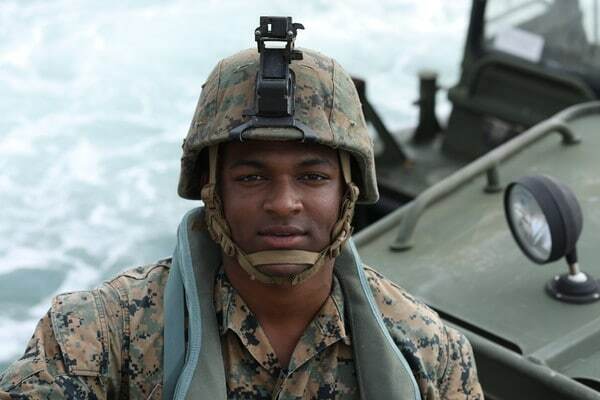 According to Asheim, training the Bridge Co. combat engineers to think and react quickly provides an invaluable skill set to the unit as well as the III Marine Expeditionary Force area of operations.